Do you know PM Modi urges sports fraternity to increase voter awareness? Taking to Twitter a couple of days after the Lok Sabha election schedule was made known, Prime Minister Narendra Modi urged eminent sports people from around the country to increase voter awareness. In a bid to see the maximum participation of the population in the upcoming elections, the rapturous step taken by the prime minister has come as a welcome move by the fraternity who have reciprocated with their immediate participation. 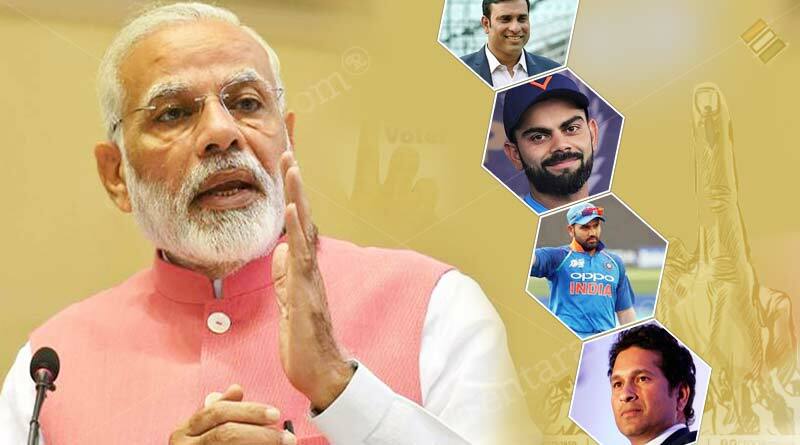 With cricket being the sport that the entire country identifies with, PM Modi addressed Indian captain Virat Kohli, Dhoni and Rohit Sharma in a tweet, asking them both to try to do their bid in ensuring that people come out and vote in large numbers. The tweet was followed up by the prime minister’s extremely well-articulated article on the beauty of democracy and the magnitude that elections play in ensuring its smooth and streamlined functioning each year. Dear @msdhoni, @imVkohli and @ImRo45, You are always setting outstanding records on the cricketing field but this time do inspire the 130 crore people of India to set a new record of high voter turnout in the upcoming elections. When this happens, democracy will be the winner! : Prime Minister Narendra Modi wrote on Twitter. One of the first to respond to the Prime Minister’s call to indulge the 1.3 crore voters in the country to step out in large numbers on voting day in their respective towns was Rohit Sharma. He spoke on Twitter about the importance of each and every vote and alluded to everyone’s need of ensuring their vote is cast. “Voting is the most important tool for a better future for our beloved country. It’s our responsibility to ensure we take that seriously and cast our vote @narendramodi,” he wrote in his tweet. It was not just the current crop of players who Modi urged in his set of tweets to inspire massive voter participation. Rampant players to have graced the game were also addressed by him. Dear @anilkumble1074, @VVSLaxman281 and @virendersehwag – your heroic deeds on the cricket pitch have inspired millions. Come, it is time to inspire people once again, this time to vote in record numbers. It was not just cricketers that Modi made the appeal too. Star performers from all fields and disciplines were asked to come in and contribute their bit to the exuberant initiative. The Prime Minister who has a colossal and faithful following on Twitter is followed by 43 million people on the platform; making him the most followed and admired people in India on Twitter along with one of the leading ones in the world. Consolidating his position as a true world leader, the Prime Minister also tweeted to several political parties across all party lines and other significant people from all over the country to encourage voter participation. The general elections are slated to begin on April 11 and will take place in 7 phases around the country commencing on May 19. The voting of counts will take place on May 23 with the set of voters pegged at a record high 1.3 billion for the upcoming elections, the highest in the world. We at Tentaran also urge you all to come out and exercise your vote. Each and every vote holds an effervescent and stupendous importance in this system that has seen India emerge as an extremely fluent and fluid functioning largest democracy in the world and your vote is your voice to ensure that you are able to get the kind of governance provided by the people you consider fully equipped to carry out the task successfully. Please vote these Lok Sabha elections and urge people around you to come out in full strength as well. All the election date, venues, documents and methods to vote can be found on our site in well-detailed articles and we’ll be more than ready to help you with all your queries regarding the voting process. 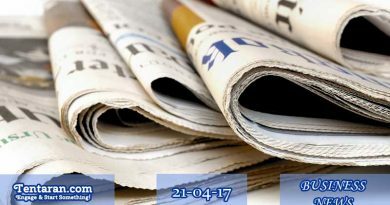 Please feel free to write to us with any questions pertaining to the upcoming elections and the voting system in place. For more articles like ‘PM Modi urges sports fraternity to increase voter awareness’,do follow us on Facebook, Twitter, and Instagram.